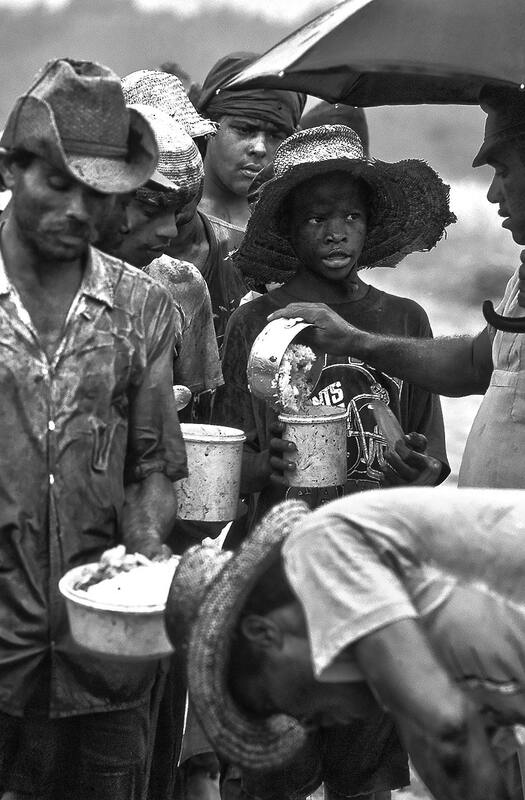 Degrading labor conditions and child labor in Brazil - Lunch served to sugarcane cutters on filthy bowls under rain - no tableware, without the minimum hygiene conditions. Brazil ethanol production, Bahia State. Partner: Salvador city Archidiocese.